A little report of my shooting over the weekend if I may indulge.. 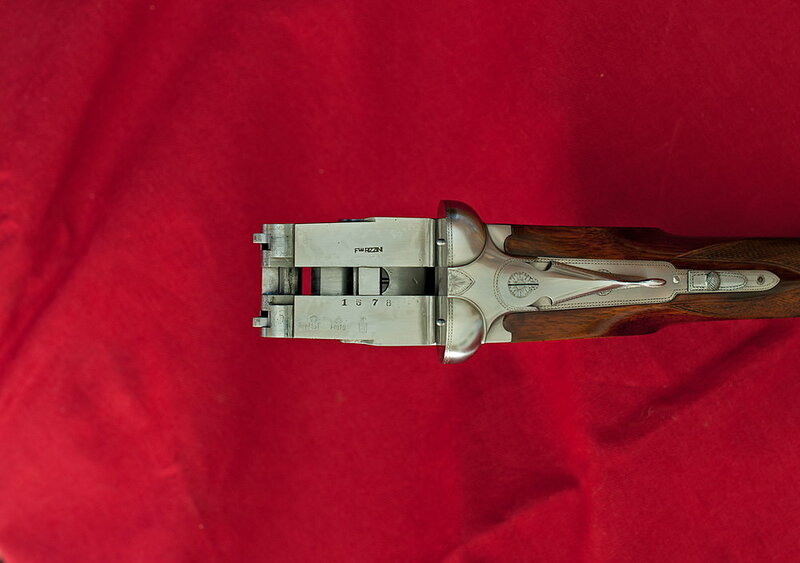 I had been growing a bit despondent about shooting my 1974 Gunmark Merlin (Vincenzo Bernardelli) recently. I'd not been having all that much success with it compared to my Browning 525, although the stock length is the same. On Saturday though, it was pressed into service as my son was also invited to shoot with me, and he used the Browning. On the first drive I dropped a very nice clean hen bird with the gun. On the second drive I missed two close birds (and was duly ribbed at the coffee break). But on the third drive I dropped a great fast partridge crossing behind me. My son also shot his first partridge at a good height crossing from right to left over his head, and was beaming for the rest of the day. Come the final drive of the day I was stationed in a hot-spot - and lo & behold I started to connect with the birds really well. I was killing them a good way out front. So on Sunday I took the old girl clay shooting, and did the usual 50 bird sporting. We don't keep scores as such but I was happy & confident with how I shot with the gun at last. I don't know what changed, I was using the same shells as before - just something seemed to really click this weekend. I guess I have got used to the different sight picture of the gun compared with the Browning, although I have always shot SBS and OU. Thoughts of selling the gun for a different model are shelved. Lovely guns Merlins ,very fast handling ! Great for proper partridges & grouse !!! Thanks - yes - it is very light & responsive ... perhaps that has been one of my problems with it. I will keep practising ! 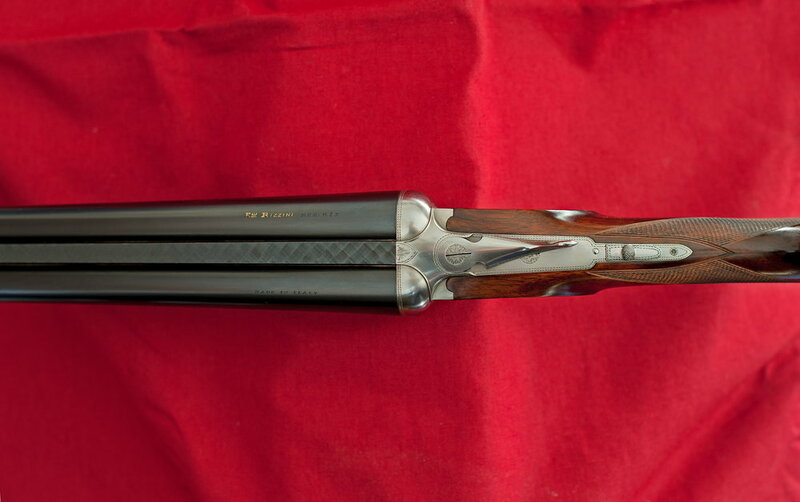 About the shotgun, F.lli Rizzini di Magno mod.R2e are probability the most interesting A&D produced in Italy. Here some of my S&S in order to see the differences. That looks a very nice gun,lovely workmanship. Just got myself yet another side by side. "must stop"
Brought into the gunshop as an unnamed Spanish gun. No name anywhere on it! Was priced up as such. "Fortunately for me"! Now know that it's an Armas Garby made in 1976. Looks as if it's been a cabinet queen.271/2 inch barrels, choked half and full with 70mm chambers. Weighs in at 61/2 pounds. Garby only make bespoke guns so gun was obviously ordered to be without a name but Garby have confirmed that it's one of theirs. Shot a few clays with it and it handles beautifully. Is that the one that Hadfield had ? Beautiful gun! Yep. Cheeky sod says he knows he under sold it. Wants another £1000. Worth having a peek at his new gunshop. He is a great guy.! That's a corker. Something about buying side by sides is addictive once you start. Not dissimilar to pigeon shooting. Seems to price things to sell rather than running a museum !lol. Interesting shotgun. 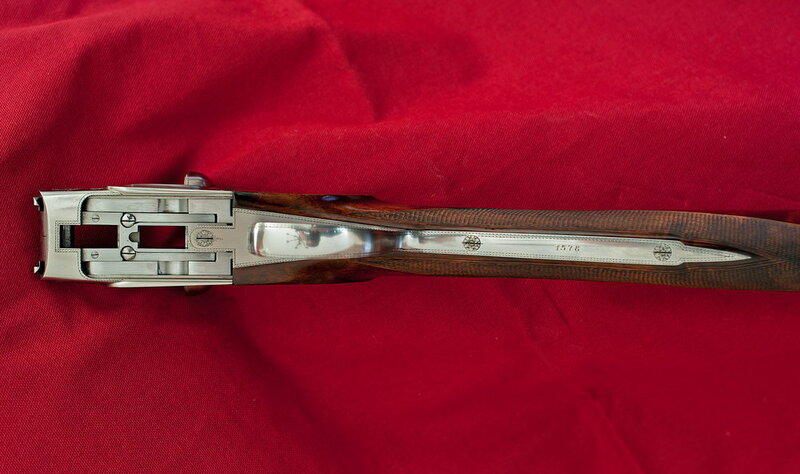 It has a similar Royal pattern engraving, hand detachable sidelock in a beautiful condition. That's a very nice find - I presume the quality is similar to an AYA number 1? Or is it even better? I think he just likes to let you know what a bargain you got.! Quality is I am sure just about the same. Specs of course are different. 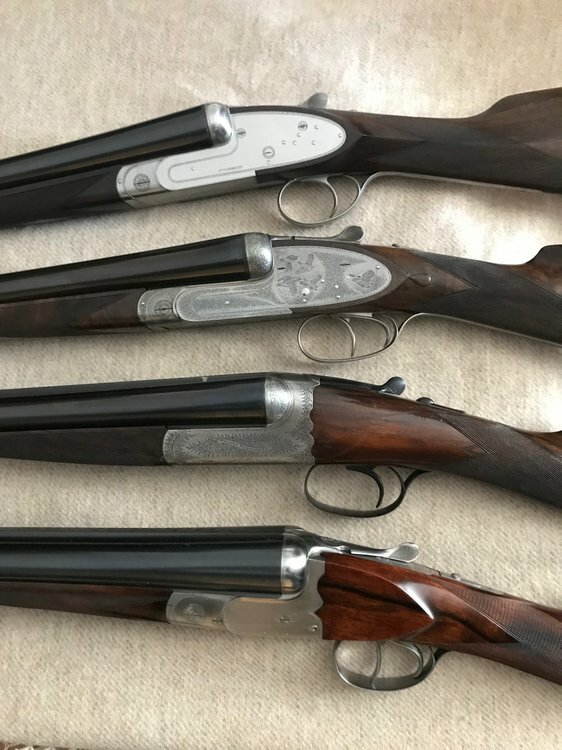 As all the guns are bespoke it's difficult to price up. You must be very chuffed. 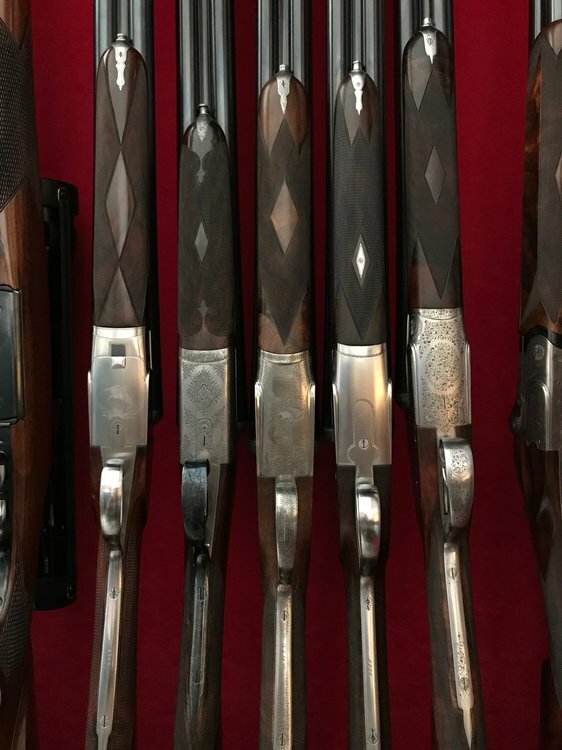 I've always regretted not buying a pair of Arrieta XXVs, there are some superb Spanish guns. looking forward to trying them out on the pigeons in the coming weeks. Email AYA and give them the serial numbers, they are very good at letting you know what they know! Never heard of a Viscount by AYA - put some piccies up! Ahhh . The questions you never ask in the shop . Made for and sold by Gunmark .There will be a makers mark on the action/barrel flats somewhere. OK thanks for info. I'll dig it out over the weekend and post some pics, see if anyone knows who would have made it.